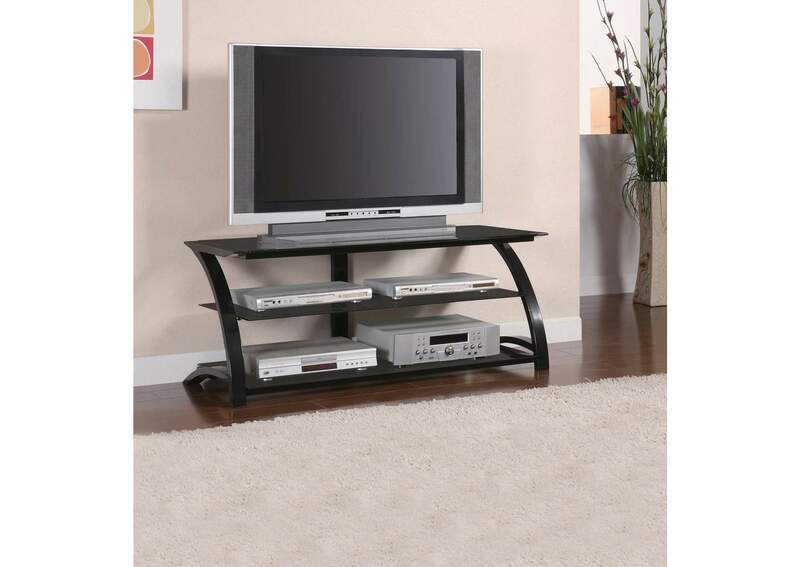 This sleek TV console offers a versatile way to display your TV and entertainment devices. 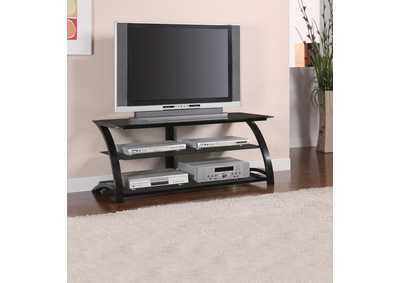 With a sturdy black metal base, this console features tempered glass for durability, and two levels of shelf space. Keep your digital systems in plain sight with this contemporary console.